Students in eight states are gearing up for the finals of their state’s 2018 Cyber Robotics Coding Competitions (CRCC), being held by the Intelitek STEM and CTE Education Foundation (ISCEF) with a few more state finals in early 2019. 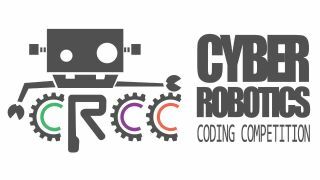 CRCC, which kicked off in October, is a free to participate, online coding and robotics tournament for students in grades 5-9. The Finals are a one-day event in which two student representatives from each school will be challenged to complete advanced missions (coding tasks) under a time constraint. In all, 581 schools with 35,422 students in 14 states and the District of Columbia have participated in this year’s CRCC. Now, finalists in California, Connecticut, the District of Columbia, Maryland, New Hampshire, New Jersey, New York, Pennsylvania and Texas will be traveling to venues in their home state this December to compete in person. Competitors will undertake their missions on Intelitek’s CoderZ Cyber Robotics Learning Environment, a cloud-based platform featuring a graphical simulation of LEGO Mindstorms EV3 robots. The online platform has a coding interface where users between 5th and 12th grade can activate a virtual robot, or “cyber-robot,” and watch the results in a real-time simulation. CRCC judges will evaluate the teams’ total score as well as other variables, including time to complete, number of missions attempted/completed, strategy, and code. For more information about CRCC, visit CRCC.io.